Camp Royall provides typical camp activities such as swimming, arts and crafts, hiking, hayrides, and boating in a structured environment to meet the needs of our campers. We offer week-long residential and day camp sessions from age 4 up to older adults. Campers are assigned to weeks according to their age and level. 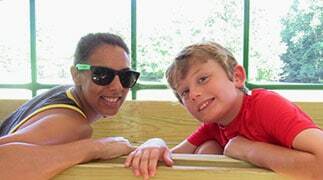 Campers receive close supervision day and night from highly trained staff; our counselor-to-camper ratio is 1:1 or 1:2, depending on the campers’ level of need. Counselors receive intensive hands-on training provided by autism professionals. After spending time at camp, campers show increases in confidence, independence, and a willingness to try new things. Camp provides needed respite for families and peace of mind that their child is in a safe and loving environment. Registration for the Residential Camp and Day Camp lotteries closed Feb. 28. 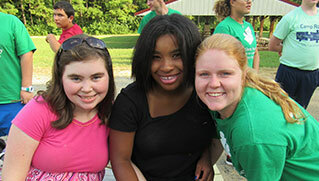 For either camp, you must be a resident of NC with a diagnosis of Autism Spectrum Disorder. Residential Camp applicants are selected using a random lottery. 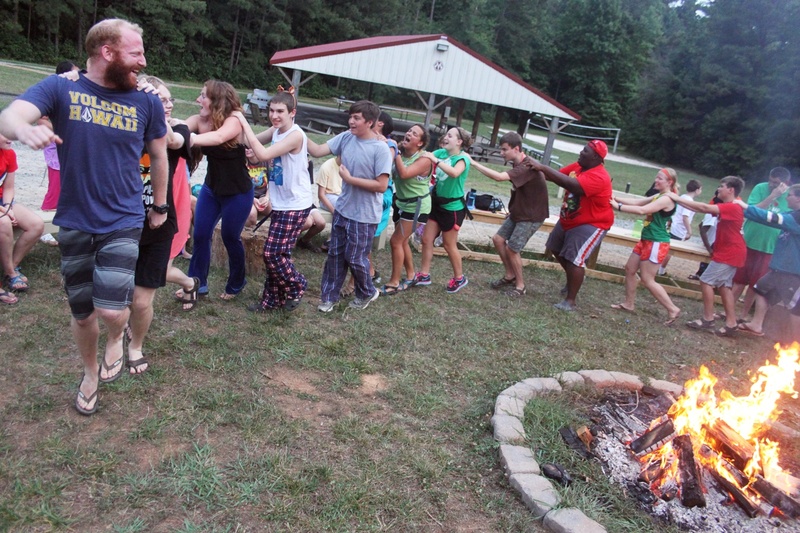 Campers who have never attended Camp Royall are given the highest priority; campers who did not attend the prior summer are then allotted slots. Remaining slots are filled with campers who attended the prior summer, again using a random lottery. Summer Residential Camp is $1,750 per week. Summer Day Camp is $675 per week. Thanks to generous support, we offer financial assistance so that children and adults of all income levels can participate in camp. If you are unable to pay the full cost, please complete the Scholarship Assistance Application on our registration website. Partial scholarships are awarded according to available funds and are based on income as well as family and financial circumstances. Sibling discount: Families who have more than one child attending camp will receive a 10% discount on the second child, and a 20% discount for each additional child attending camp. We also offer payment plans over six months. Please call the camp office for more details at 919-542-1033. We need and appreciate your help in raising scholarship dollars each year. If you know of resources in your community that could support our scholarship fund, please contact Kristy White, ASNC Chief Development Officer, at kwhite@autismsociety-nc.org. 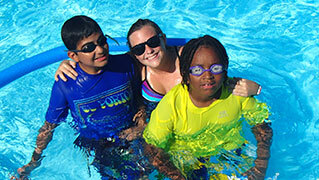 Weeks are divided by age and level of ability so we can provide the most suitable activities for each camper. You may sign up for your preferred weeks; we will make every effort to accommodate you. Campers may attend for only one week of Residential Camp during the summer. Campers staying for Residential Camp arrive on Sunday afternoon and stay until Friday afternoon. Campers may attend more than one week of Day Camp. Hours are 9 a.m-5 p.m. Monday through Thursday and 9 a.m.-2:30 p.m. Friday.